I'm not too familiar with this site but it seems to sell store returns. 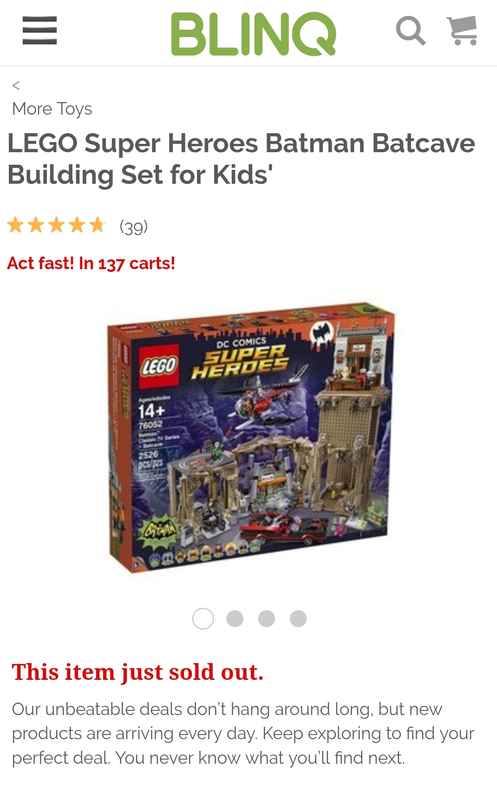 Anyway, I saw on slickdeals that they have the #76052 classic batcave for $90.69. 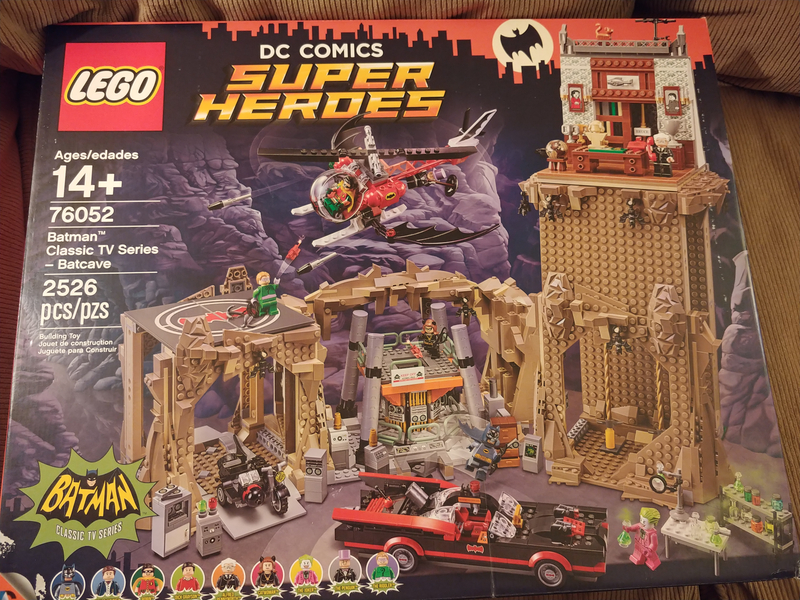 Not a set I really cared for but decided to get one at this price. It says free returns and I also used paypal just in case. Here is the link to the slickdeals so the credit goes to the correct person. Thanks for the heads up. I also went through PayPal for buyer protection. What a steal if it comes through. Thanks mat, if the website turns out not to be a total scam, I'll have all the dark tan I could want. Blinq is a legit site. I'm not sure the meant for that set to be so cheap, but it has been out a while and seemingly not a good seller, so maybe it is just being liquidated. Arrived today... That was quick. Which vultures have the other 7 in their carts? I've placed dozens of orders with Blinq in the past, and I have never had any issues. Most of the time, you are ordering something that is "open box," which it will state with the listing. For me, these have arrived in the range of "there's a scuff on one edge" to "someone dropped this down a flight of stairs." When the seals have been cut, I've always checked and there have never been pieces missing.